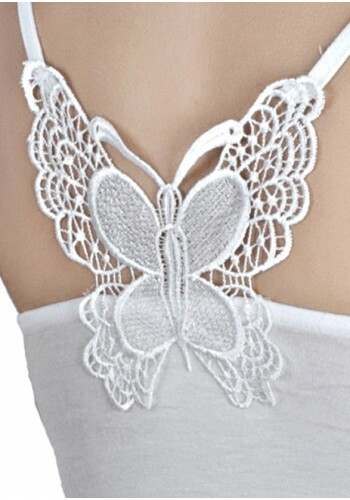 About - The ultimate white bustier with a feminine butterfly decorated on the back side makes it a new trend setter. The seamless bra is perfect for under tops, shirts and even to create a look with the skirt. It is light in weight and easy to wear with any kind of clothing you want to club.